Quality Service When You Need It Most! At Nancy Kissick’s Professional Nursing Services, Inc. we are dedicated to providing experienced, caring, quality health care professionals to meet your specific needs. Nancy A. Kissick, R.N. has been providing full time and part time licensed nurses and certified nurse assistants to Hospitals and Home Care Client’s since 1977. Nancy Kissick’s Professional Nursing Services, Inc. provides a wide range of Home Health Care services for the closed head and spinal cord auto injured patient. Additional Home Care services include elder care and in-home patient surgery recovery. For hospitals and clinics, we service Medical/Surgical, ER, ICU, NICU and all Specialty Units. All of our employees are bonded and fully insured with corporate malpractice and worker’s compensation insurance policies. All nurses are licensed by the State Of Michigan. Guaranteed to meet your highest professional standards, our licensed nurses and CNAs are available for staffing and Home Care needs from 4 to 24 hours per day / 7 days per week. 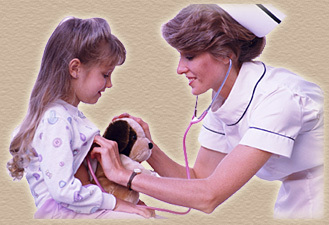 Nancy Kissick’s Professional Nursing Services, Inc.